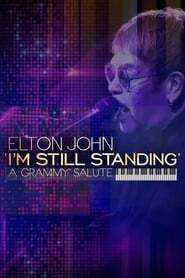 Elton John: I'm Still Standing – A Grammy Salute. Taped at the Theater at Madison Square Garden shortly after the 2018 Grammys and broadcast on CBS this week, the evening saw Elton John and husband David Furnish seated front row for a tribute to the works of Elton John and Bernie Taupin from Ed Sheeran, Kesha, Sam Smith, Shawn Mendes & SZA, Little Big Town and more. The whole thing ended with a stellar performance from the man himself, with the majority of his all-star guests joining him for a rollicking "I'm Still Standing."